Air101: Another Q400 for Philippine Airlines and more US flights? 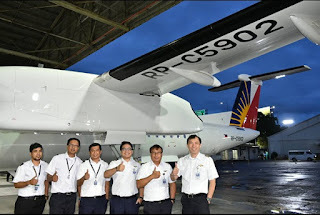 Another Q400 for Philippine Airlines and more US flights? 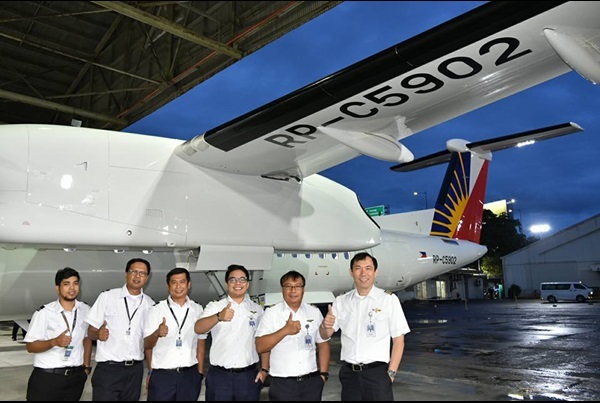 Philippine Airlines has taken delivery of its second two class next generation Bombardier Q400 aircraft recently after an epic 11,400-mile journey. The aircraft has a configuration of 86-seater and will be utilized on select intra-domestic routes and is the second of the type for the airline from an order of 12, the rest of which are all due to arrive before the end of 2019. Read on for more on the new US flights. The airline has also revealed that it is looking to expand its network to North American destinations next year with plans to operate a direct service to both New York and Seattle on new Airbus A350's. The airline already flies to New York, via Vancouver, which will be dropped, however replacing it will be two services, one to Houston and one to Chicago. Plus thanks to fifth freedom arrangements, Philippine Airlines will be able to accept passengers on just the North American sectors adding another revenue stream for the airline. Many in the industry are questioning the wisdom of Philippine's choice of new US destinations citing a rather small local Filipino population in each city, however, there may well be more than enough demand for the services, which operate three times a week to Houston and four times a week to Chicago. Incidentally, Philippine Airlines shall resume its nonstop thrice-weekly service between Manila and Abu Dhabi after experiencing increased demand for flights on the route. The airline continues to operate PR 656 – every Tuesdays, Thursdays and Saturdays – departing Manila at 11045am and arriving in Abu Dhabi at 5.45pm; PR 657 operates on the same days leaving Abu Dhabi at 7.30pm local time and touching down in Manila at 8.50am the following day.